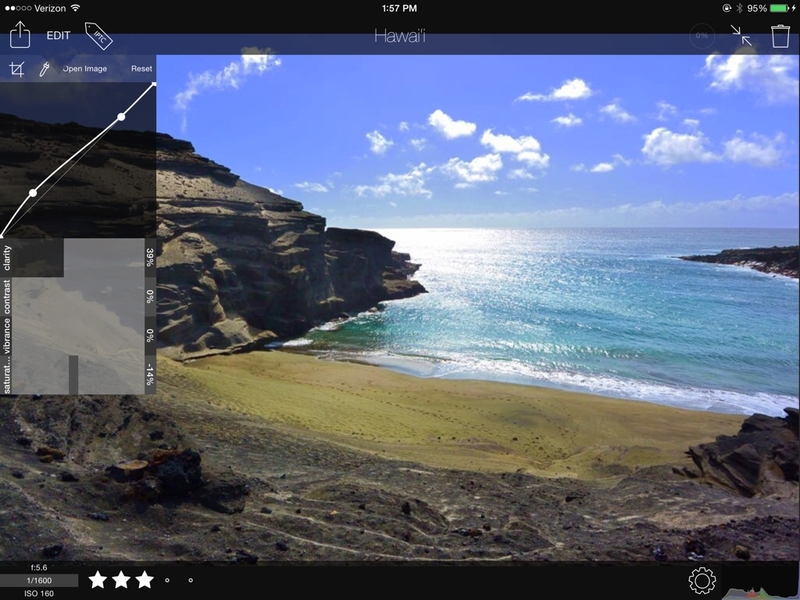 FSN Pro is the fastest way to tag, edit, and transmit a group of photos. Designed to give photojournalists quick access to the tools they need, Pro is a must-have for anyone who edits a lot of photos. In addition to including all of the powerful photo editing tools that are in Filterstorm Neue, FSN Pro gives you project management capabilities (batch functions) and an FTP manager that lets you browse your server, create folders, delete items, and upload your projects. Users with FTP transmitters can also import photos directly into FSN Pro's built-in FTP server. Please be aware that unless your transmitter can create an ad-hoc network, this will require a wi-fi connection. 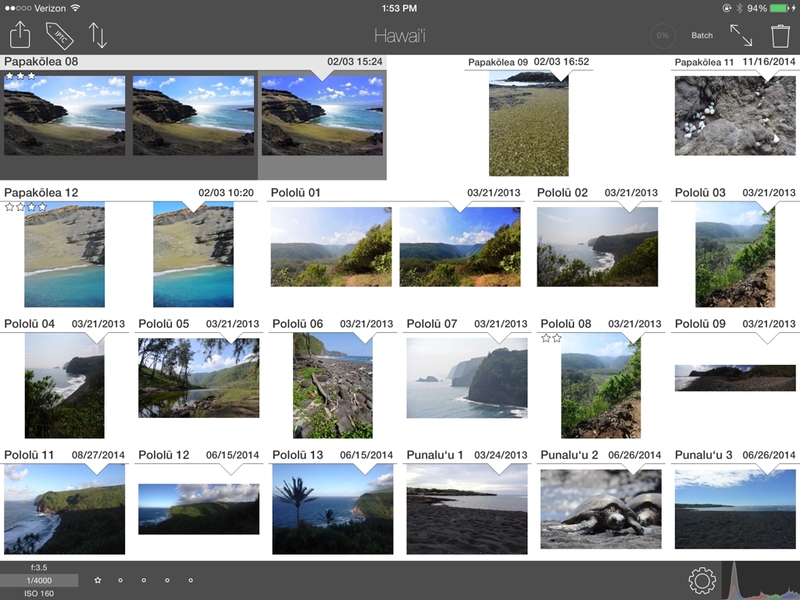 FSN Pro's project folders give you two easy ways to get through your photos quickly. First, you can select multiple images in the project and use the IPTC tag menu to batch tag, and automations (saved image edits) to alter the photos. The second method is through FSN Pro's powerful Quick View feature. 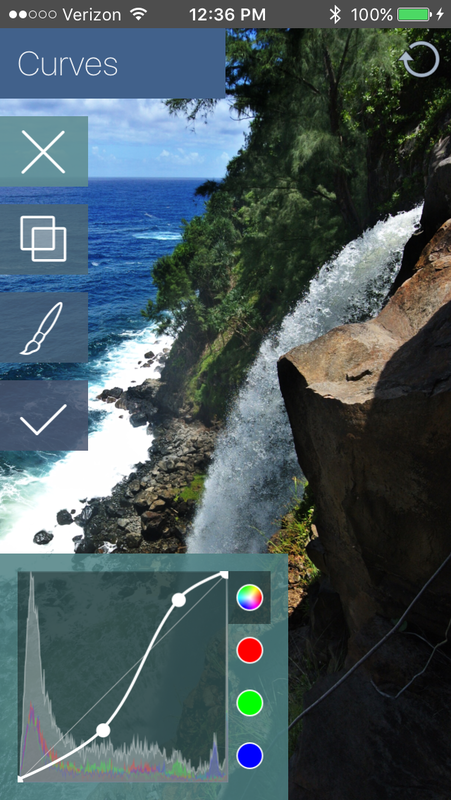 The quick view feature gives you a full-screen view of one photo at a time. You can swipe to scroll through the project, tagging and applying simple edits to your images as you go utilizing FSN Pro's Quick Edit feature. The project will store these edits as new versions of the image while maintaining the original, making it easy to explore different editing options before choosing the final version you like best. Using star ratings and filters, you can choose your best images, and then filter the rest out to concentrate on only the ones that matter in the moment. The Quick Edit feature gives you access to commonly-used controls and allows you to apply all of these within seconds from Quick View before moving on to the next photo. Currently, the tools included are: Crop (freeform or with crop ratios), RGB Curves, White Point Picker, Clarity, Vibrance, Contrast, and Saturation. In addition to letting you tag images individually and in batches, Filterstorm Pro gives lets you save IPTC presets, and use code replacements. To save an IPTC preset, you simply need to tag a photo with the information you want, then move to the preset tab and give your new preset a name. From there, you can quickly reapply those tags to the rest of your project. FSN Pro also supports XMP. Export XMP sidecar files alongside your originals and edits, or import XMP files from your desktop to use as IPTC presets within FSN Pro. FSN Pro's FTP browser allows you to view the contents of your server, add folders, delete files, and batch upload your images. FSN Pro has a built-in FTP server that you can send images to which will automatically be imported. To work in the field, this means you will either need a wi-fi connection, or a transmitter that can create an ad-hoc network. It can also be used to transfer files from your computer rather than using iTunes Sharing. 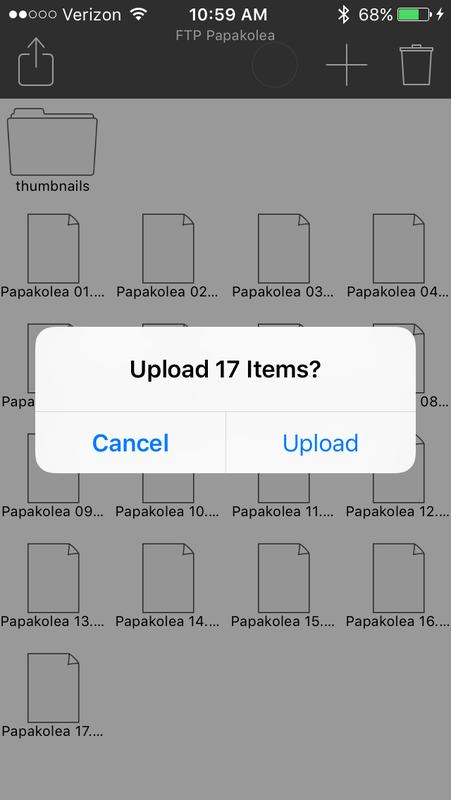 In addition to batch-exporting to FTP, you batch-export to services offered by the system and other apps such as saving to the library, iMessage, AirDrop, or Facebook. At the time of export you can choose file format (PNG, Tiff, JPEG), compression quality, DPI, and perform scaling of images with "scale to fit" and "scale to fill" options.